The guests attending this exchange workshop are famous food experts in Vietnam, nutrition experts and the chefs of the Golden Spoon contest. 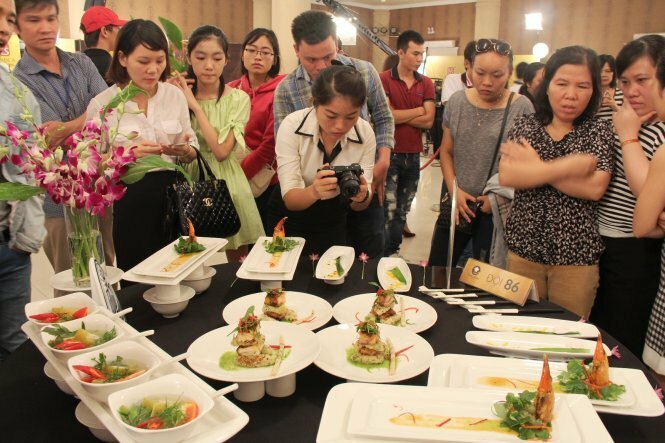 The exchange program with its theme “How to promote Vietnamese cuisine abroad?” is organized within the scope of the Golden Spoon contest, aimed at searching for traditional and rustic dishes that also represent unique culture and the typical dishes throughout the country. It also contributes to introducing and promoting our abundant, refined, delicious and nutritious cuisine to the world. Readers will have the chance to express their concern as well as raise any questions about the origin of Vietnamese foods, which one is the specialty of each region, which spices have been discovered, introduced and used effectively to make the most delicious dishes, how international friends can learn more about Vietnamese food, or which Vietnamese dishes have been introduced in other countries.